Invisalign is a popular alternative to metal braces that uses a customized series of aligners that is created according to your specific needs. Invisalign braces use clear plastic trays that are worn directly over your own teeth. They gently move your teeth into position based on your treatment plan. Invisalign has no metal brackets or bands and no tight wires. Instead, every two weeks you will replace your aligner with the next aligner in the series. That means fewer orthodontic appointments and less time out of your busy schedule. 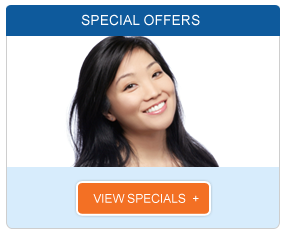 Invisalign is a more private procedure, too. Instead of noticeable metal braces, you will have clear aligners that are virtually invisible against your teeth. Your smile will become ever more confident with every new aligner, and you will never have to feel embarrassed about sharing it. Your first step towards a straighter, healthier, more attractive smile is to talk to our dentist. We will talk to you about your goals for your smile and your lifestyle needs. We will explore your treatment options, discuss Invisalign vs braces and answer all your questions so that you can be confident you are making the best decision for your smile. Invisalign can be used to treat a wide range of orthodontic issues, including crossbite, underbite, overbite, crowded teeth, crooked teeth or gapped teeth. 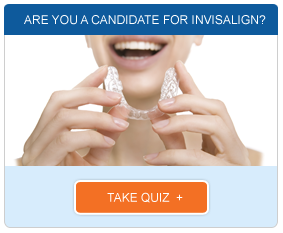 If you are a candidate for Invisalign braces and you decide that Invisalign is right for you, we will create your treatment plan. We may take dental impressions and advanced images in order to craft your aligners. Once they are ready, you will simply move to a new aligner every two weeks. You can keep your teeth clean and healthy throughout each phase of your treatment by removing your aligners and brushing and flossing just as you always have. Regular dental visits can help you stay on track and maintain your dental health. Give us a call to learn more or to schedule your consultation with our Los Angeles Invisalign dentist.